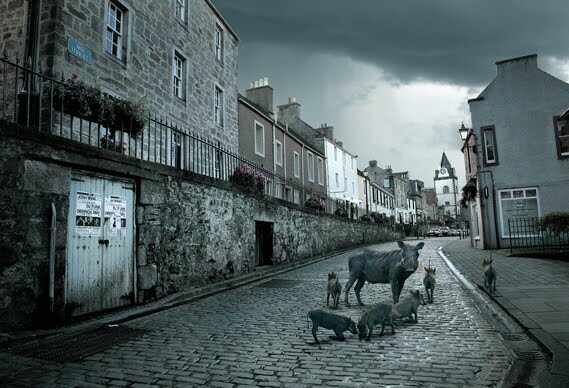 George Logan, born Bellshill, Lanarkshire, has been a photographer for 20 years. He is famous for his distinct style, which is often described as having an otherworldly quality. He studied at Blackpool College of Photography before moving to London, where he is now based. George has worked extensively in the commercial world, for agencies including M&C Saatchi, BMB, BBDO, Ogilvy, TBWA and VCCP, on campaigns for brands including O2, Corona, Qantas, AT&T, Nokia and Ribena. Awards include the IPA/Lucie Awards Advertising Photographer of the Year in 2008 and Gold at the Association of Photographers Awards. 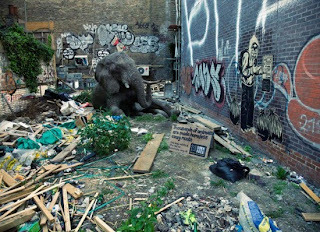 When animal species lose their natural homes, they are forced to eke out their lives in smaller and smaller, fragmented habitats. 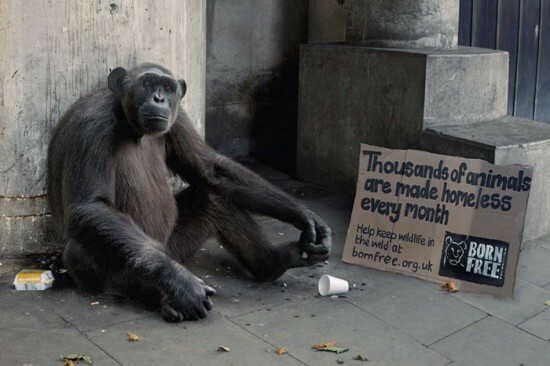 This puts increasing pressure on the natural resources, such as food and water, that they need for their survival. In addition, decreasing availability of natural habitats mean that animals and humans often come into conflict, which can result in damage to crops, predation on livestock, persecution, injury and death. 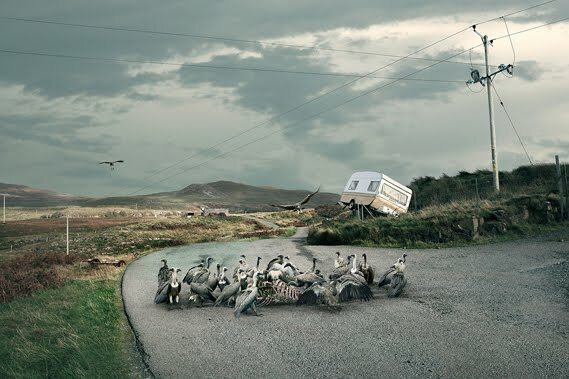 ‘Translocation’ by multi-award winning photographer George Logan is a collection of fantastical photographs. With warmth and humour these translocated images bring together Scotland’s dramatic landscapes with the beauty of Africa’s wild animals. Logan traveled extensively throughout Africa to capture the wild animals in their natural habitats, visiting Botswana, Namibia, Tanzania, Kenya and South Africa. The landscape shots are largely taken in Scotland and the wild coastlines of Cornwall. Logan then mixes animal and landscape images that feel like plausible combinations, resulting in a surprising set of photographs. 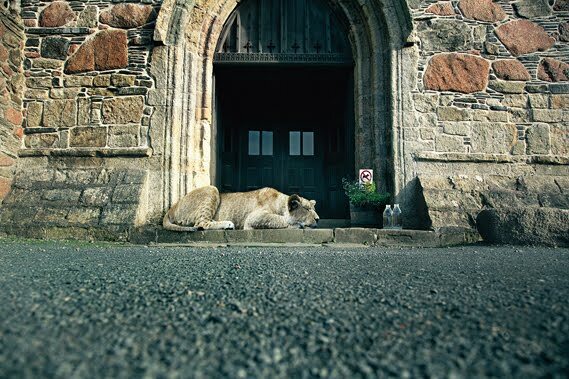 Filled with high-colour photographs of animals better suited to the Serengeti than Slough, Logan’s award-winning images feature lions on church door steps and warthogs down village lanes. 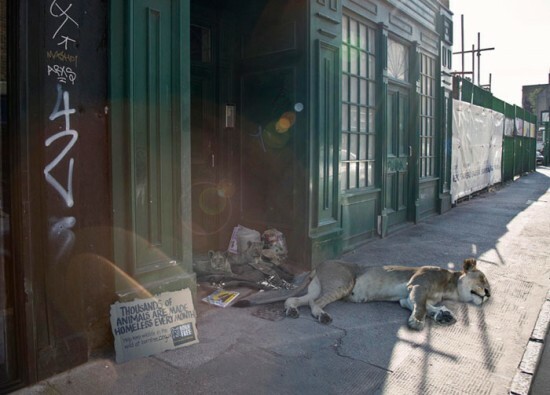 Despite a somewhat unnerving closeness to reality, the photographs are in fact composite shots featuring images snapped in both Blighty and some of Africa’s most dramatic landscapes. What drew me into this work was the unique combination of animals and rural/suburban landscapes. The combination of the two is unexpected and yet realistic. The nature of animals trying to take back the land they once roamed freely. 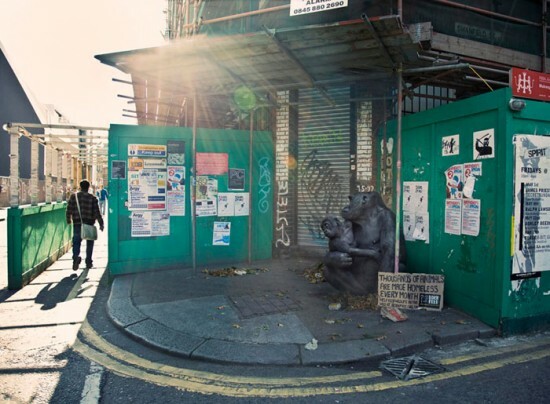 All of these images cause the viewer to think about animals and the restrictions we have placed on them. 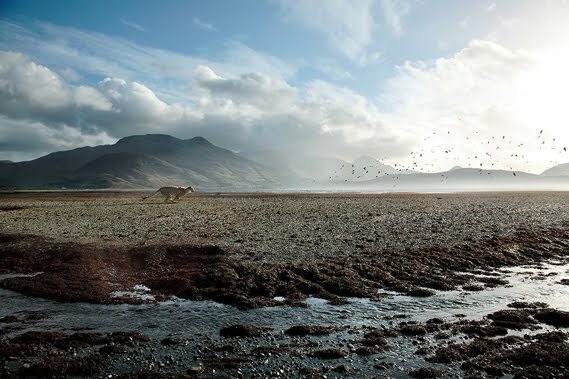 The Scottish landscapes with African animals are sticking and the new environments are puzzling at first glance.